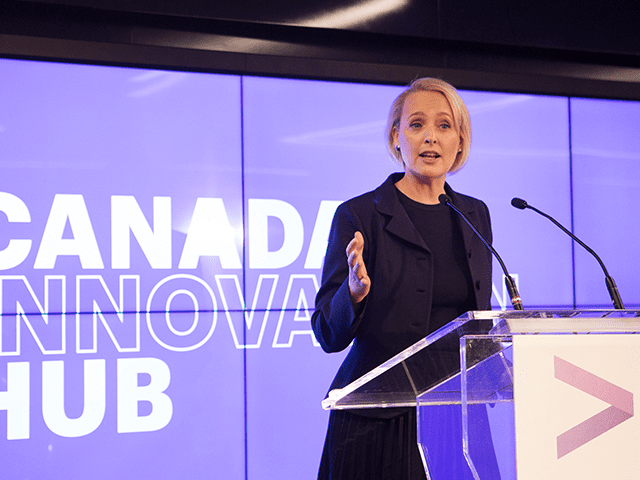 Last week, Accenture opened its new Canada Innovation Hub in the heart of Toronto’s business and technology district. The investment also includes the creation of 800 new, highly skilled technology jobs by the end of 2020, and the expansion of our apprenticeship program. So many of the market’s new jobs require technology skills, and attracting people with those skills is helping raise the profile of Canada as a technology destination. There’s a new trend of Canadians returning home for these jobs – countering the so-called “brain drain” trend we have seen in recent decades. Canada’s market is clearly vibrant, and other global firms are not only taking notice, but are growing their physical presence and adding more jobs to the country. Looking at Toronto, the city is not only buzzing with new ideas but it’s also a hotbed for the world’s largest financial companies and contains the third-largest stock exchange in the Americas by market cap. The emerging technology landscape is transforming the country and companies like Accenture are a part of that continued growth trajectory. 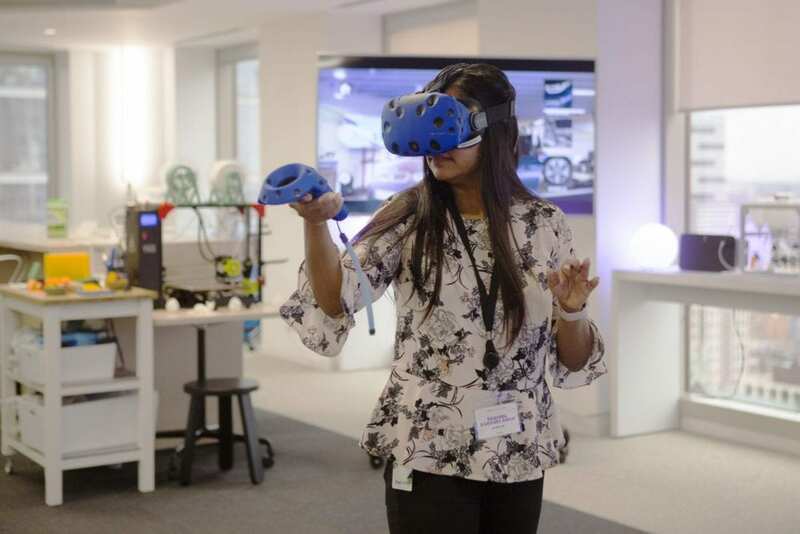 At Accenture, our hubs are designed to help bring innovation to the doorstep of our clients by harnessing our global network of knowledge, expertise and technology. Our end-to-end transformation model aims to help clients be the disruptor, not the disrupted. Accenture teams work alongside clients to co-innovate – ideate, rapidly prototype and then scale new products and services. This is applied across all diverse industries – from financial services to automotive to industrial equipment to technology. For us, the first step in solving for a complex challenge or tapping into a new opportunity is to seek to understand the humans who are impacted and focus on designing a human-centred solution. After reframing a problem or opportunity, we then pull in a diverse team with varied skills to unlock new insights; from data strategists, to design thinking-immersed facilitators and rapid prototype developers; and everything in between. 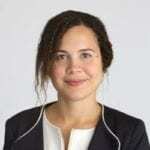 Finally, we tap into our technology expertise and leverage technologies such as artificial intelligence, blockchain and virtual agents to solve clients’ most significant challenges. 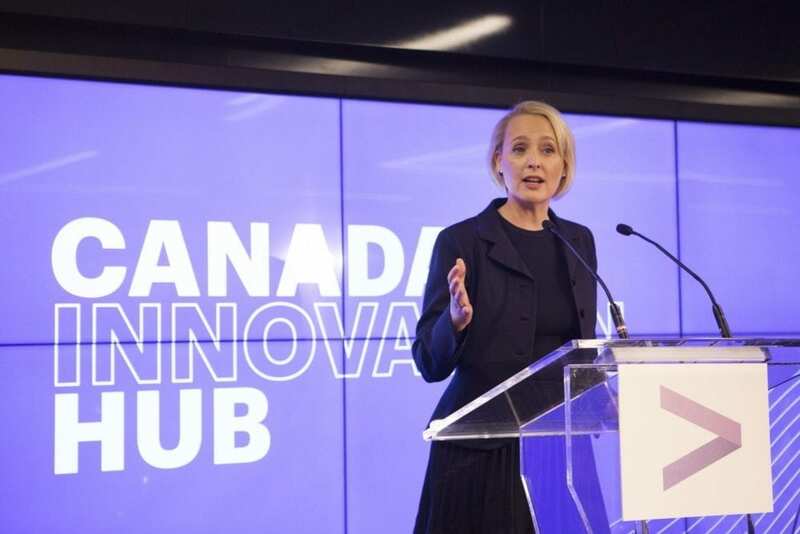 As an example of this in action, one of Accenture’s Canadian diamond clients, Evan Siddall, President and CEO of Canada Mortgage and Housing Corporation (CMHC), highlighted our work together at the launch of the Canada Innovation hub. 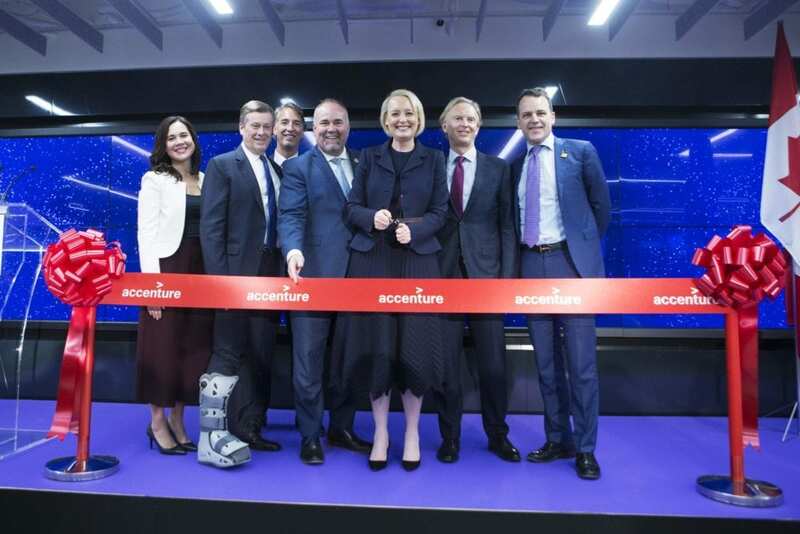 He said that working in Accenture’s new space is helping them reimagine the entire mortgage process, from origination to securitization, and ultimately it will increase CMHC’s efficiencies. We look forward to continuing to work with our clients to help them on their transformation journey, in line with our commitment to the growth and future of Canada’s economy. With almost 5,000 people working at Accenture in Canada, we are invested in the country’s bright future and will help continue to cultivate new talent through the 800 jobs we will be filling by 2020. Accenture was recently named one of Canada’s Top 100 Employers for the eighth consecutive year and we continue to rank on various best employer lists across the country, including Canada’s Best Diversity Employer for the sixth consecutive year. Diversity is one of our core principles in contributing to the success of our business and our ability to drive innovative results. Our employees represent a tremendous variety of cultures, ethnicities, beliefs, backgrounds and languages. We foster an inclusive environment with great diversity across ethnicity, religion, gender, sexual orientation, age or disability. At Accenture, we also hold ourselves accountable for our progress. Right now in our Canadian workforce, 42% are women (29% of whom are at the executive level), and more than 48% are visible minorities. This rich mosaic makes our company smarter and more innovative. We truly believe that people are at the heart of driving innovation and when we all work together, it ultimately helps our country to continue to move forward in its growth. Accenture is committed to being a place where our people can navigate and grow their careers, while we collectively help our clients change the way the world works and lives.